Estimated to ship within eight weeks. Contact us for current lead times. 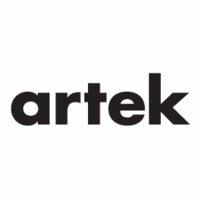 More about Artek Pancho Nikander Kanto Magazine / Firewood Rack From reading material to burning material, there are plenty of things you can store in the Artek Kanto Magazine / Firewood Rack. 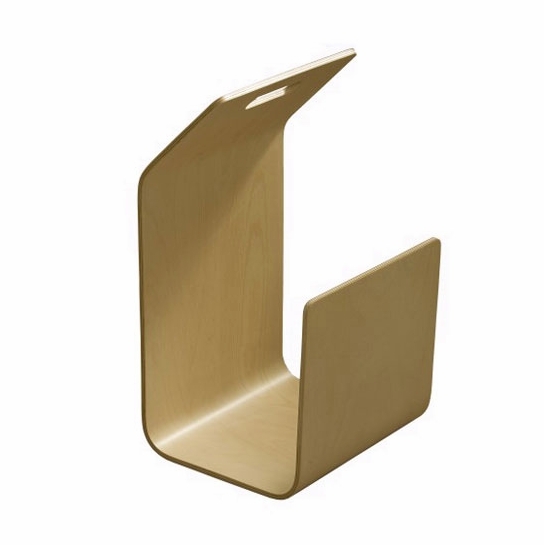 Designed by Pancho Nikander in 2004, this piece fits perfectly with Artek's line of molded wood. 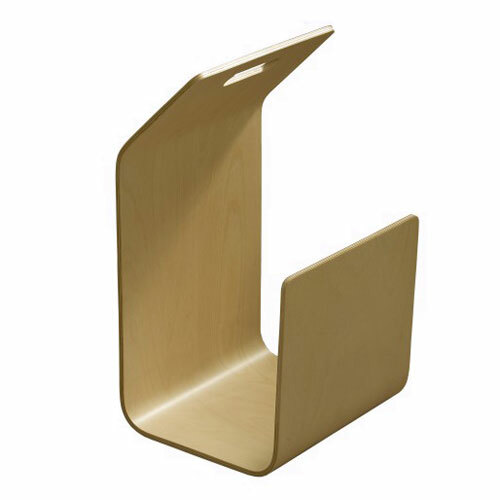 The simple yet ingenious design involves a birch plywood sheet bent at the perfect angles to cradle your clutter. 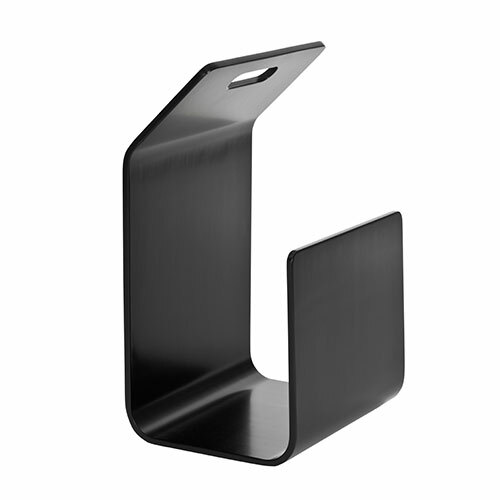 It is available in natural, white or black lacquered finishes to match any décor. 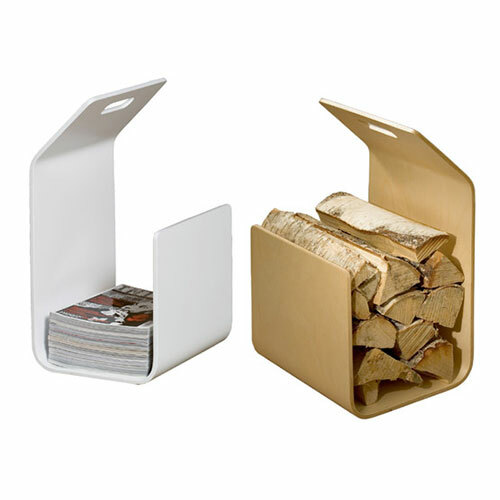 Smart and stylish, the clean-lined design of the Kanto Magazine/Firewood Rack will help you maintain a clean, organized, and attractive home. Free Shipping! Expedited delivery available at an additional cost, please review our Shipping Information page before ordering. We're sorry, but this item cannot be gift wrapped. Bought this to hold our indoor firewood and it looks great. This is a wonderful way to store and display my favorite magazines. I have it sitting in a corner of a hallway and everyone comments on it. It's also easy to move around. I'm sure it works just as beautifully for firewood. 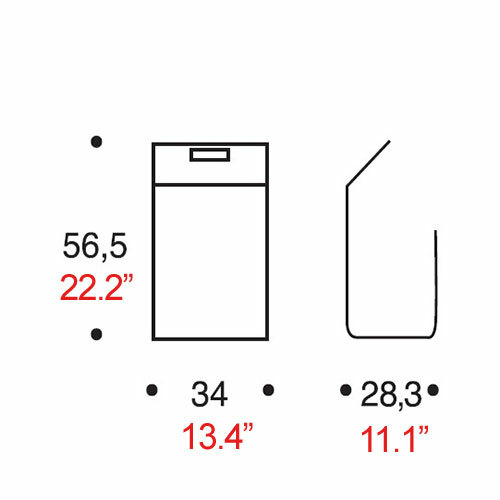 What are the dimensions (measurements)? 22.2" x 13.4 x 11.1"